Perstorp the world leader in ε-polycaprolactones (PCL) technology, marketed under the CapaTM brand, is stepping up its investment into the fast growing bioplastics market. World demand is expected to continue to grow at over 20% pa for the foreseeable future, and CapaTM Thermoplastics are already playing a vital role in enhancing bioplastic applications. CapaTM is a perfect performance enhancer and processing aid for renewable biopolymers whether it is used for short- life, long-life or end-of-life solutions. In particular Perstorp’s primary focus today is on three key bioplastic growth segments – paper coatings, bags & films and packaging. The current investments are designed to support rapid development of all three, but also to ensure the infrastructure is in place to meet the challenges of new emerging applications. CapaTM in particular opens up new opportunities for bioplastics such as PLA, PHA and starch by improving their functional properties, especially toughness and flexibility enabling them to be competitive in film and packaging applications. The superior compostability of CapaTM also improves the products useful end-of-life making bioplastic packaging, bags and film environmentally attractive. The latest investments are aimed at broadening the sustainable options available to producers and ultimately to consumers too. 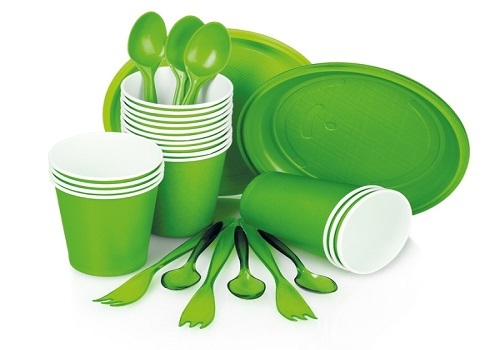 Bioplastics are being increasingly seen as the plastic of choice as political and consumer awareness increases the demand for greater sustainability and better waste management solutions. Perstorp’s latest investments will broaden the biopolymer choice. The pilot plant will help to produce new CapaTM grades for existing customers and support the continued expansion of the CapaTM Thermoplastics product line, while the new lab will become a caprolactone innovation center for application development. This will ensure that new formulations are developed and tested to meet the challenges of emerging applications where CapaTM can play a decisive role in increasing competiveness.